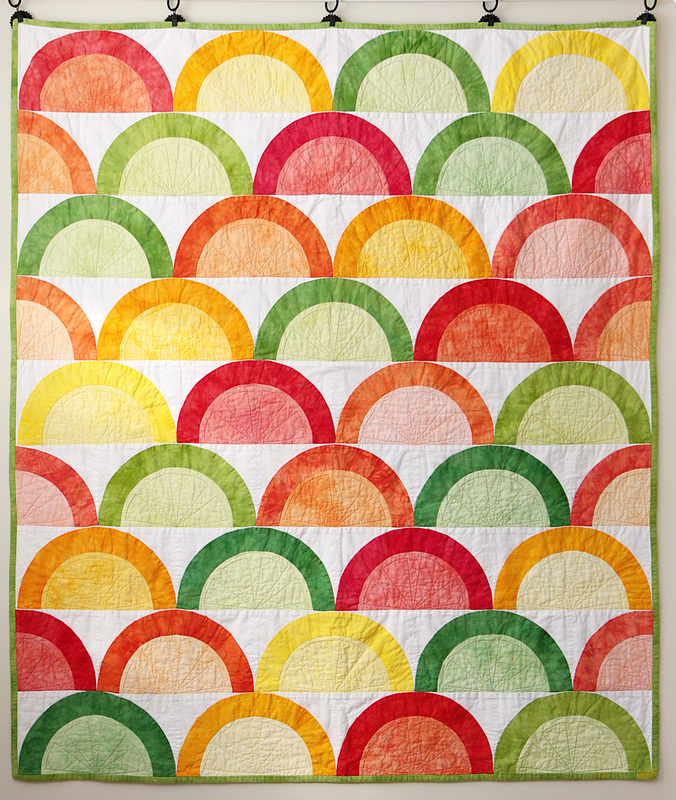 The design of this quilt was inspired by gummi fruit slices. 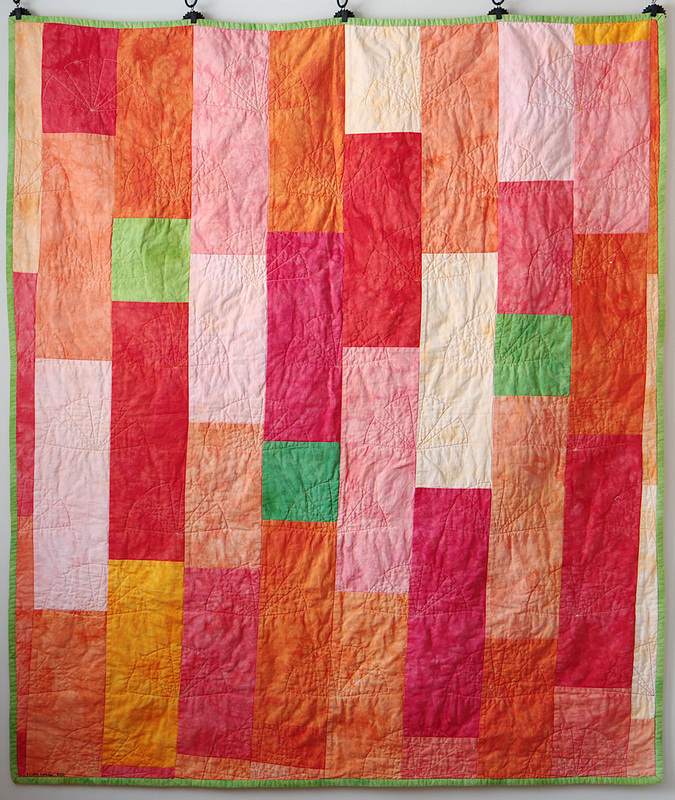 I made this quilt for my daughter for her 5th birthday using entirely my own hand-dyed fabrics. It was a lot of fun to make and not as difficult as it looks because the curves are large and gentle. For the backing I used up 4″ wide strips of the extra fabrics that I had dyed for the front and assembled them into strips. This is a very common backing technique for me!